Start Your Research - SAGE Research Methods - LibGuides at SAGE Publications, Inc.
SAGE Research Methods can help you with every stage of your research project. You may already have a topic in mind, or your topic was assigned to you. If not, search Topic on SRM, and this book chapter entry, “Choosing a Topic” will help you choose a sound area to study. A research question is more refined than a topic. For help writing your research question, do a search. An encyclopedia entry is a good place to start for an introductory overview. The Methods Map can help you choose a method if you’re not sure which to use. If you already have your method, you can search directly for it. The search results will provide both brief explanations of the method via dictionary and encyclopedia entries as well as in-depth how-tos in book-length entries. If ethics is a concern for your project, SRM contains a number of resources to help. 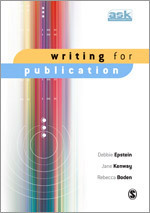 A literature review is a crucial step to monitor what has already been written about your topic. SRM has many resources on how to conduct a literature review. 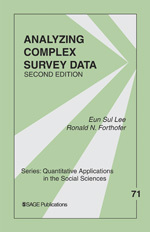 Books with step-by-step information on hundreds of data collection methods are included. In this instance, our researcher has chosen a survey, and Designing Surveys includes steps on writing and organizing the questions, designing and selecting the sample, and tips on reducing sources of error in the collection. 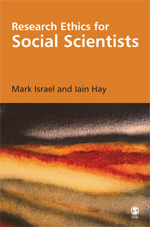 Resources specific to data analysis and writing up your findings are also included. 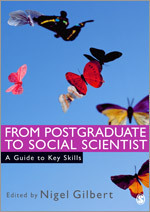 Dissemination might be as simple as turning in your paper at the end of term. 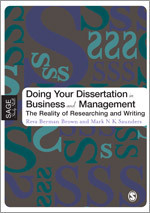 If you are completing a dissertation and/or looking to publish, SRM has information on that as well.